Made to Order Furniture | Creative Classics Furniture | Alexandria VA, D.C.
Made to Order Furniture: Have it your way! Creative Classics Furniture sources from manufacturers that offer made to order furniture customized to your wants and needs. Choose from 100’s of fabrics and leathers, wood species and stain color, multiple size options, and customized comfort selections. Your furniture can be as unique as you are! Every single item we carry is made to order according to your selections, limited only by the manufacturers’ options (which are legion), and your imagination! This means you get what you want, the way you want it. Most of our sofas are available in more than one size as well as multiple sectional configurations. All of our sectionals are available as sofas, loveseats, and chairs, each usually having multiple size options. Some sofas are available with your choice of 2-3 seat cushions or a single bench cushion. Several of our upholstered sofas and sectionals let you choose from a variety of arm styles, stitching and trim treatments, and leg options. All have scores of upholstery options to choose from with most having a choice of both leather and fabric. Do you prefer soft and cushy or firm and supportive? 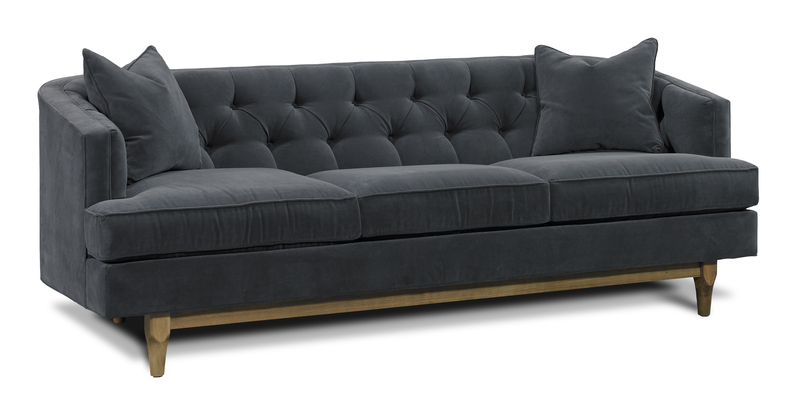 Many of our sofas, loveseats, and sectionals offer a selection of softer and firmer options. We have many types of cushions on display so you can drop by and “play Goldilocks” to find the feel that is “just right” for you. All of our dining room tables are offered in multiple sizes, most also with the option of a fixed top or extension leaves to accommodate larger dinner parties. If the sizes our makers offer do not fit your space, many will custom size to your exact dimensions (visit Custom Wood Furniture Design). Our dining tables have a variety of wood and stain color options so you can always find a table to coordinate with your decor. Many of our dining room furniture makers offer Build Your Own Table collections. These allow you to customize the table shape and style in addition to the size and color. There are also specialty options such as hand planing, wire brush treatments, and distressing to really give you a one-of-a-kind look. Each dining table has more than one chair option, enhancing your ability to create the dining room of your dreams. Find the most comfortable chair for you and customize it with wood or upholstered seats in either leather or fabric. Our manufacturers offer many bed styles, and each is available with underbed drawers for those that need extra storage space. Most of our beds can be configured to support a traditional box spring and mattress or can have a platform base that eliminates the need for a box spring. And as always, you have wood and stain finish options to complete your vision. Find matching dressers and chests to complement your chosen bed, and select your hardware for that final custom touch. And if you have a need for a really specific piece, we can always have something designed especially for you (visit Custom Wood Furniture Design). Visit us at our Alexandria, VA store to see how our made to order furniture is as unique as you are!